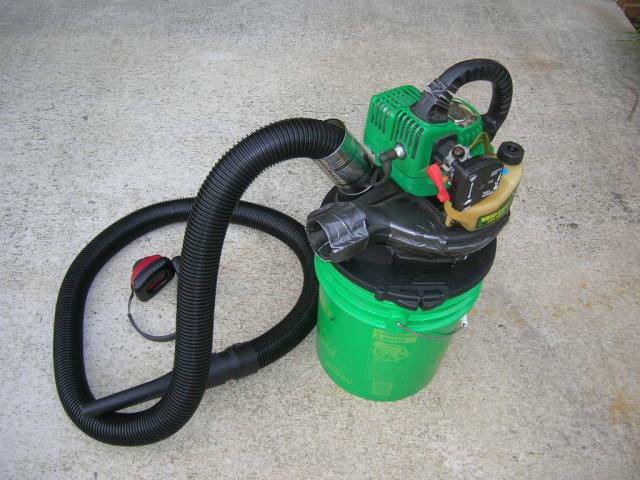 Several years back I built my own 2-cycle gas vac. 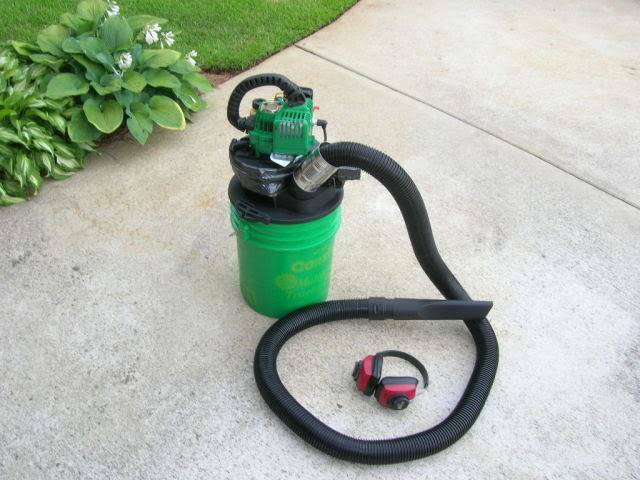 I found a used leaf blower at a garage sale for $5. 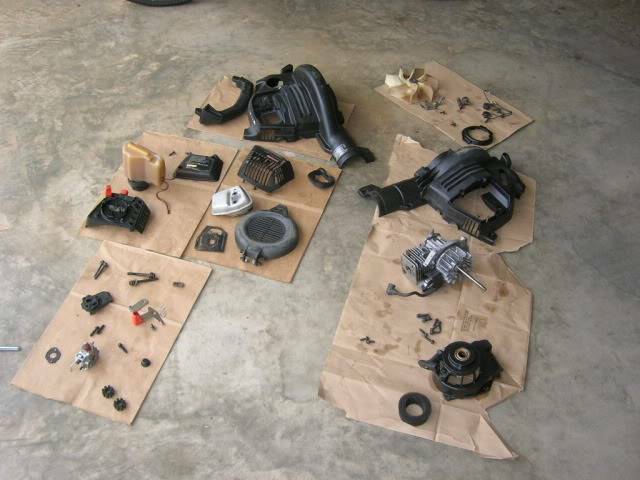 The guy said "last I used it, it ran"... O.K. Maybe. At least it turned over when you pulled the cord. 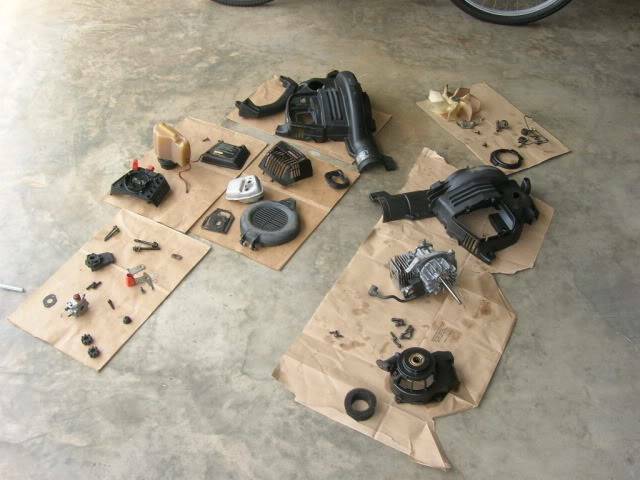 I tore the whole engine apart, cleaned & lubed it. 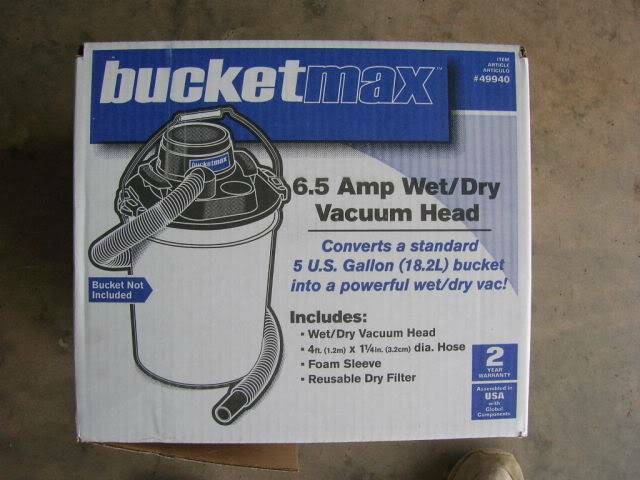 The got a 5-gal bucket and a do it yourself vacuum kit and hose kit and put it all together. I got it running, amazingly and it even sucked up rocks, sand and gravel at full throttle! Bottom line: It worked O.K., but not great. The fine dust quickly clogged the paper filter inside to protect the plastic impeller. After removing the paper all I had was a soft foam filter. It definitely didn't clog, but also let a lot of dirt & dust thru, which eventually wore the plastic impeller down to the point it wouldn't create suction... All totaled up I probably had $65 dollars into my effort. Hope you effort works better! yep I also made my own vac.. I like to make things! I never used it and ended up giving it to a friend in Western Misery.